There is nothing quite like sharing a meal as you sit down with your loved ones at the end of a particularly long day at the office, where light banter and laughter abound. Of course, having a delicious meal served is one thing, it is more important to have love around the dining table to make everything simply perfect. However, there are moments when you will need to add a dash of salt or pepper according to taste so that your steak will be the best you have ever eaten. 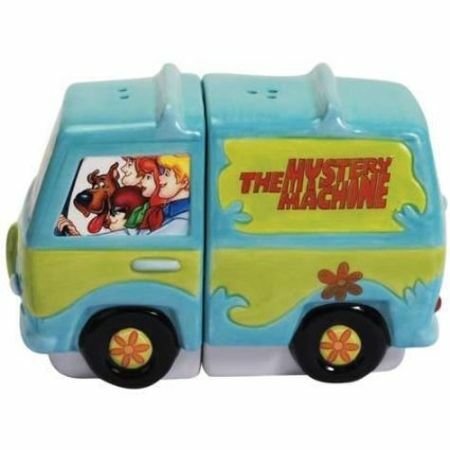 Why not do so in style with the $18.08 Westland Giftware Scooby-Doo Gang and Mystery Machine Salt and Pepper Shakers? Boy, it sure is a mouthful, where it features your favorite Scooby Doo characters.